Monday - Friday 1 - 8 p.m.
Saturday and Sunday 11 a.m. - 6 p.m.
Children 16 and younger, free. Merge onto NY-92E / NY-5E / E. Genesee St. via Exit 3E toward Fayetteville. Turn slight right onto Highbridge Rd. / NY-92. Continue on NY-92. Turn left onto E. Seneca St./NY-92/NY-173. Continue on NY-173. Turn right onto S. Eagle Village Rd. Merge onto NY-695N via the exit on the left toward I-690 Fairgrounds/Syracuse. Continue on I-690. Merge onto I-481S toward DeWitt. Merge onto NY-92E / NY-5 E/E. Genesee St. via Exit 3E toward Fayetteville. 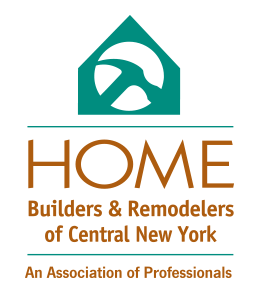 Join us to tour these fabulous new homes from Central New York's most respected custom builders –fully decorated and fully landscaped for your viewing pleasure! 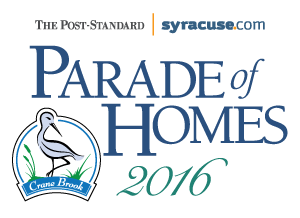 Be inspired at the Parade of Homes at Crane Brook in Manlius. See the latest in building and design trends. Experience the ultimate in home décor, appliances, lighting, smart home technology and outdoor living. See eight professionally decorated and landscaped luxury homes. Visit with our sponsors under the tent. They can help you with a variety of services, from energy efficiency upgrades to banking and investment advice. When you arrive, get your program guide and "booties" (shoe covers). Future homeowners appreciate this, since 20,000-plus guests will walk through their homes before they even move in. We recommend comfortable shoes for walking (slip-ons work great with the shoe covers). As you stroll down the street, gather ideas and enjoy the beauty of the professionally landscaped yards. June 4th – Solvay Bank Opening Day 11 a.m. - 6 p.m.
June 9th and 16th – Ladies Nights - So Nice, we do it Twice! Crane Landing, just off South Eagle Village Rd.